This article is part one of a series, click here for part two, and click here for part three. Suzy is a 59 year old post menopausal woman with low thyroid function. About three months ago, she started her bio-identical hormone program which included natural thyroid pills. After starting the program, she was doing well with more energy, better sleep, improved appearance of skin and hair, and resolution of her menopausal symptoms of flashes and sweats. However about 12 weeks into her program, Suzy had a visit with her primary care doctor who did a follow up thyroid panel. Her primary care doctor informed Suzy that her TSH test result was below the lab normal range, and therefore, her thyroid dose was too high, and should be reduced. (Note: TSH is Thyroid Stimulating Hormone, and is made by the pituitary gland). Above left image: Thyroid scan courtesy of wikimedia commons. Suzy called me at the office distraught and confused. Two doctors were telling her two different things and she didn’t know who to believe. Her primary care doctor was telling her one thing and I was telling her another. I explained to Suzy that her primary care doctor was incorrect in relying slavishly on the TSH test. Even though her TSH test was 0.15 which is below the lab reference range of 0.3, this was perfectly acceptable and indicated her thyroid medicine was suppressing the TSH to a low level which was perfectly fine. This test interpretation means she is taking thyroid pills, and the pills are working. It does not mean she is “hyperthyroid” by any stretch of the imagination. I also informed Suzy that her Primary Care Doctor is mistakenly relying on the TSH test to determine her thyroid dosage. The TSH test is an indirect measure of thyroid function and can be unreliable to monitor thyroid dosage. A more accurate indicator of thyroid function is the free T3, which in her case was 375, well within the normal range of 240 to 420. The Free T3 lab test together with the absence of any signs or symptoms of thyroid excess indicates she is using the correct dosage of natural thyroid medication. Symptoms of thyroid excess are rapid heartbeat or palpitations, and Suzy reported no such symptoms. In fact, Suzy said she felt fine and now that she understands it, she didn’t want to go back to feeling tired, sluggish as before she started the thyroid pills. Suzy was relieved to find out that the low TSH result was perfectly acceptable and there was nothing to worry about. This TSH scenario is a recurring event at my office. Conventional primary care doctors use an older thyroid lab panel which does not include the Free T3 test, the most informative thyroid lab test. Instead, mainstream endocrinology relies on the TSH test which is not a direct measure of thyroid function, and can, in fact, be unreliable. Most conventional doctors are unfamiliar with the use of natural thyroid which contains both T3 and T4, and instead use Synthroid which is quite different, containing only T4. Since the Primary care doctors bill the health insurance for the office visit and payment is only a few dollars, the office visit is brief, 3-5 minutes. In this short time, Primary care doctors can provide only the most basic care, which is a quick look at the TSH lab test. If the TSH is below the lab reference range the doctor gives a new prescription for Synthroid with a reduced dosage. If the TSH is above the reference range, the primary care doctor will increase the Synthroid dosage. Another useful book recommended to you is written by Broda Barnes MD on the low thyroid condition. Broda Barnes MD reported 40 years ago on the same problem of his medical colleagues relying too heavily on thyroid blood tests. His book, Hypothyroidism: The Unsuspected Illness is a medical classic and should be required reading for every medical student and doctor. (2) I have read the book many times. The book contains the condensed wisdom of a lifetime of research and clinical experience with the thyroid, and it rings true today as it did in 1976. Thyroid blood tests come and go, yet human physiology remains the same. Important Point: The TSH test is unreliable for determining optimal thyroid dosage. A “below lab range” TSH is routinely encountered when patients are optimally treated with natural thyroid medication and obtain the best clinical results. Being an astute clinician, Dr. Barnes makes a number of observations about the low thyroid condition. Firstly, low thyroid is associated with a reduced immunity to infectious diseases such as TB (tuberculosis). Before the advent of modern antibiotics in the 1940’s, most low thyroid children succumbed to infectious diseases before reaching adulthood. Secondly, low thyroid is associated with a peculiar form of skin thickening called myxedema which causes a characteristic appearance of the face, puffiness around the eyes, fullness under the chin, loss of outer eyebrows, and hair thinning or hair loss. A third observation by Dr. Barnes is that low thyroid is associated with menstrual irregularities, miscarriages and infertility. Barnes treated thousands of young women with thyroid pills which restored cycle regularity and fertility. In his day, the medical system resorted to the drastic measure of hysterectomy for uncontrolled menstrual bleeding. Although today’s use of birth control pills to regulate the cycles is admittedly a far better alternative, Barnes found that the simple administration of desiccated thyroid served quite well. Again, Barnes noted that blood testing was usually normal in these cases which respond to thyroid medication. Important Point: A low thyroid condition is a serious risk factor for heart disease. Although Broda Barnes has since passed away, his work lives in at the Broda Barnes Institute. Patricia Puglio is the director and a great resource. She is available by phone to answer questions and offer suggestions. Here is her contact information: Patricia A. Puglio, Director, Broda O. Barnes, M.D. Research Foundation, Inc. Trumbull, CT.
We use the Free T3 measurement which is widely available at any lab. This article is part one of a series, click here for part two,and click here for part three. (2) Hypothyroidism: The Unsuspected Illness by Barnes, Broda Otto (1976). Harper Collins. (4) http://www.bmj.com/cgi/content/full/326/7398/1087 BMJ 2003;326:1087 (17 May) Letter- Thyroid function tests and hypothyroidism, A D Toft. “We have long taken the view that most hypothyroid patients are content with a dose of thyroxine that restores serum concentrations of thyroid stimulating hormone to the low normal range. However, some achieve a sense of wellbeing only when serum thyroid stimulating hormone is suppressed, when we take care to ensure that serum tri-iodothyronine is unequivocally normal. Until valid evidence shows that such a policy is detrimental we will continue to treat patients holistically rather than insist on adherence to a biochemical definition of adequacy of thyroxine replacement. The issue of whether a little too much thyroxine is dangerous is likely to evaporate when appropriate preparations become available to allow treat. Thursday, 17 May, 2001 UK Investigation into thyroid doctor. GP Dr Barry Durrant-Peatfield, 64, who has a practice in Purley, Surrey, has been stopped from working for 18 months so that the GMC can complete its investigation. Int J Clin Pract. 2010 Jun;64(7):991-4. 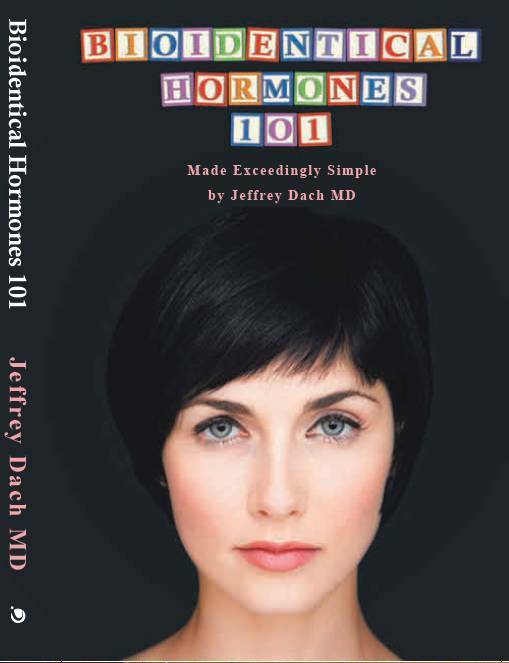 Thyroid hormone replacement: an iatrogenic problem.O’Reilly DS. State of Florida Health Freedom Law: CHAPTER 2001-116 Senate Bill No. 1324 An act relating to health care; creating s. 456.41, F.S. ; amending s. 381.026, F.S. ; Ch. 2001-116 (S.B. 1324) Authorizes provision of and access to complementary or alternative health care treatments; requires specified disclosures by the health care practitioner and the keeping of certain records; conforms the Florida Patient’s Bill of Rights. Effective May 31, 2001. Thank you! I have NEVER had TSH! I was diagnosed with Graves 20 years ago. Two years ago, doctors reduced my thyroid meds b/c of my TSH levels… 60lbs later, feeling awful.. I found another doctor who believes like yoU!